Can I buy a Yarra Plastics Tank directly from you? Yarra Plastics are Manufacture wholesalers, who sell directly to retailers and trade buyers only. Businesses with a registered ABN are our customers. Contact Us for your nearest Supplier. Can I install my Tank myself? We highly recommend that a licensed plumber installs your new Yarra tank for a few reasons. First is safety for you, your family and your friends. A 2000ltr tank when full of water weighs over 2000 kilos. Secondly as a reputable Tank manufacturer we offer you a ten year repair or replacement guarantee only valid if installed correctly in accordance with the regulations in your area, and to our specifications. How strong or thick is a Yarra Plastics Tank? 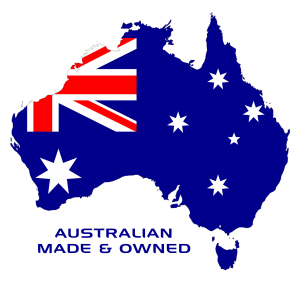 We only use Australian made polyethylene (food grade) made for the Australian conditions. There is a minimum standard in Australia. All our Tanks range from 6mm and more depending on size and shape, we produce them much thicker than required, not only for your piece of mind but ours also. We pride ourselves on quality. Why shouldn’t you have your Tank hard up against a wall or fence? All plastic products expand when under pressure and sun light. We recommend that you place your Tank at least 50mm from any wall or fence. What footings does a Tank need? Footings differ from Round Tanks to Slimline Tanks. A Slimline Tank must have a smooth, level reinforced concrete base, 100mm thick and 100mm wider than the Tank diameter. Round Tanks can be situated on a solid, level and flat compacted base larger than the Tank foot print. ALL BASES MUST BE FREE OF ANY SHARP OBJECTS, ROCKS OR STONE. SEE INSTALLATION INSTRUCTIONS FOR SUITABLE SURFACES. Choosing the correct Yarra Plastics Tank. What do you want your Tank to achieve? Choose the size of your Tank to accommodate your requirements; it’s better to oversize than undersize. Ensure you have sufficient room to install your Yarra Tank. 1mm of rain over 1sq meter of roof line = 1 litre of rainwater in your tank. Customise the position of the fittings to make the most of your available space. Choose the right colour to blend in with your surroundings. Where is the Yarra Plastics Tank made? We are a local family owned and operated company who manufacture Water Tanks and other plastic products in our factory at Campbellfield, Victoria. How are the Tanks manufactured? Rotational moulding is one of the oldest forms of plastic moulding. Large items such as water tanks can only be rota moulded. The way it works is like baking a cake. The tool spins on 2 axis in an oven at a certain temperature and cooking cycle, each product has its own time and temp. After the cooking process is completed the tool needs to cool down, when completed the tank is then de-moulded. Once the product has been de-moulded it is placed in the trim and fit out bay to cool down and set. Following cool down it is then trimmed fitted out and finally shrunk wrapped and delivered to store.